Our Vision is to become a world class institution in Education and Research by providing Quality Education in Pharmaceutical Sciences with utmost care and discipline. We at Acharya Nagarjuna University College of Pharmaceutical Sciences endeavour to achieve highest satisfaction by imparting Quality Pharmacy Education, Training, Research and Development. Our Mission is to impart Technical Education in cutting edge Technologies and to inculcate research and creative endeavor in the minds of students, who will definitely take part in the economic and social development of the Nation. The man task of our college is to provide information and direction to students about career oriented programmes needed for full fledge Pharmacy practice by having collaborations with Industries and Foreign Universities. Pharmacy is a versatile, dynamic and increasingly diverse profession, one which creates so many opportunities for service. Pharmacists work in a wide variety of health care settings in the pharmaceutical industry (carrying out a wide range of activities from R& D manufacturing to quality control, packaging, quality assurance etc.,) in practice settings (hospital & community) in academics, regulatory affairs and clinical research. Pharmacists are health care professionals whose professional responsibilities include seeking to ensure that people derive maximum therapeutic benefit from their treatments with medicines. This requires them to keep abreast of development and advances in knowledge & technology related to manufacture and use of medicines, professional standard requirements and laws governing pharmacy. In response to increased importance to pharmacy course and demand in public towards this profession, Acharya Nagarjuna University started A.N.U. College of Pharmaceutical Sciences in the academic year 2010-11, recognizing the need of quality pharmacy education at university level. All the courses and programmes running at Acharya Nagarjuna University College of Pharmaceutical Sciences are recognized by Pharmacy Council of India (PCI), and approved by AICTE (All India Council for Technical Education). The College has well qualified and highly dedicated teaching staff (17 members with 7 doctorates and remaining pursuing their Ph.D.) and also committed Non-teaching members. It has state of art laboratories and library with good number of books (500 titles, 3500 volumes) and journals (34 National and International journals). College is upgrading continuously in research activities. Staff and students are actively involved in research and attending workshops, presenting papers in seminars and journals. They have published more than 60 research papers in National and International Journals for the last two years. 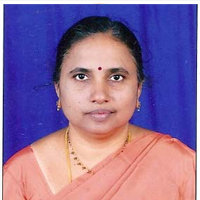 Two major research Projects were sanctioned to Prof. A.Prameela Rani, Principal, ANUCPS as the principal investigator by the All India Council for Technical Education (AICTE) with Rs.15,00,000 and University Grants Commission (UGC) with Rs.11,80,000 for the research proposals on the treatment of Breast Cancer and AIDS. The college has obtained latest equipment with these grants to enhance the research facilities at the college. Animal House was inaugurated at ANUCPS campus on April 28th by Smt. Prema Mohan, Under Secretary, CPIO, Ministry of Environment and Forests, Govt. of India. Our faculty Sri K.Phani Kumar obtained a Patent for his research work on topic “Synthesis of piperazine nuclease containing novel cholcone derivatives and their anit – histamic activity” (the Patent Journal 28-12-2013).